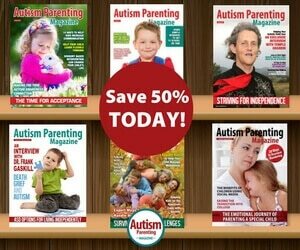 Since its inception in 2012, Autism Parenting Magazine has aimed to be objective in its approach to autism-related developments, treatments and news stories. Each issue includes a variety of articles from medical professionals, coaches, occupational therapists, parents of children on the spectrum as well as adults on the spectrum. In 2014, Autism Parenting Magazine received the respected Gold Award for Online Resources (websites, eMagazines and blogs) in the category of Family/Parenting from the Mom’s Choice Awards®. Angelina works as a Board Certified Behavior Analyst, specializing in treating children and adolescents with autism, down-syndrome, and other developmental delays. She began her career in Applied Behavior Analysis in 2006, following her youngest brother’s autism diagnosis, and has since worked with dozens of children and families. She also writes a blog about her experiences as both a professional and a big sister. Her brother, Dylan, remains her most powerful inspiration for helping others facing similar challenges. Elouise is an established dietitian with wide-ranging experience in recipe development and analysis including that of early years, school meals and elderly social care. She has developed a wide knowledge of the catering industry coupled with a personal passion for cookery. Elouise is the co-author of Autism: Exploring the benefits of a gluten and casein free diet; A practical guide for families and professionals. Bill is an Occupational Therapist licensed in California. He graduated with his masters and clinical doctorate in occupational therapy at University of Southern California in 2011 and 2013, respectively. He is the first autistic individual in the world to complete a doctorate degree of any kind in occupational therapy. He currently works as a per diem skilled nursing occupational therapist for Interface Rehab. He also serves as professional development mentors for three autistic occupational therapy students. Lisa has a Master of Science Degree from the University of Scranton. She is the author of “60 Social Situations and Discussion Starters” published by Jessica Kingsley Publishers. You can find her book online at http://www.jkp.com/catalogue/book/9781849058629. She is also the creator of The Timms Social Skills Program. A live, fun, interactive, peer-to-peer online social skills program, which is offered internationally for students ages 6-18+ with autism, Aspergers, ADHD and/or related disabilities or atypical students who may be struggling with their problem solving and/or social skills. 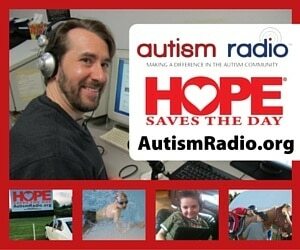 John is a music therapist and special needs family and parenting coach. He has a master’s degree in marriage and family therapy as well as a bachelor’s degree in music therapy. John has been working with families of children with special needs, primarily autism, for more than 10 years in his private practice. John had an uncle with a developmental disability, and so early on he learned how to see past the disability and recognize the unique abilities of each person. John’s work and passion has been to support families of children with special needs through counseling, music therapy, sibling support, education, workshops and most recently, online support. consulting, workshops, and professional training worldwide. He is the author of several eBooks. Sarah has her Masters in Psychology with a specialization in Applied Behavior Analysis (ABA) and is a Board Certified Behavior Analyst (BCBA) who has worked with hundreds of children with autism and their families since 1999. She has clinically supervised and trained hundreds of staff on how to implement treatment strategies that are based on Applied Behavior Analysis (ABA), she conducts parent coaching and training in the form of workshops for families and teachers on a variety of topics (e.g., safety skills, toilet training, language development, using technology to teach, and challenging behavior) just to name a few. She is a Part-Time Professor and Co-Founder of Special Appucations, which is an mhealth company that develops solutions for children with special needs using ABA to inform the instructional design. Sarah has appeared on Hamilton Life, CP24, CHCH news, the Scott Thompson radio show, The Bill Kelly radio show and on A Voice for All on Rogers TV and Mom Talk Radio. Nick Malcuit is a father of four with two biological children, ages 22 and 25, and two stepsons, ages 15 and 19, who are both on the autism spectrum. He credits his blended family for inspiring him to pursue a bachelor’s degree in Human Services. 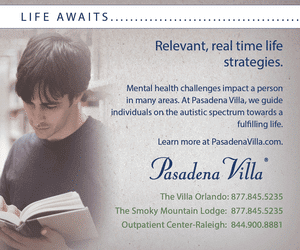 Nick changed careers at age 56 moving from many years in healthcare management to working in the autism community. He and his wife developed OneStep4Autism™, an ambitious but currently small, grassroots program to provide support to families. Writing is one of Nick’s passions and his goals are to evaluate research, discuss issues and also inform, help, comfort and hopefully provide a few laughs to those who have been touched by autism. Kimberlee is the mom of two young sons on the autism spectrum, ages seven and eleven. She is a former educator and presently a stay-at-home mom/therapist. Kimberlee has been published in Exceptional Parent Magazine, and her blog is linked to multiple sites throughout New Jersey and Pennsylvania on Patch, an online source for community-specific news. Her post, “The Talk,” was selected by Autism Speaks as one of the top ten most informative and inspirational blogs of 2013. 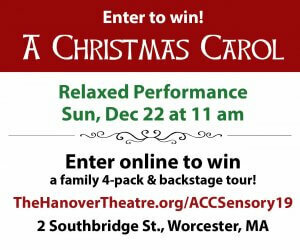 In 2012 she produced and directed a play about mothers raising autistic children, with all proceeds going directly to POAC Autism Services, a non-profit located in Brick, NJ. She participates in the Family Partners Program, a part of the Autism Treatment Network at CHOP (funded by Autism Speaks.) In 2014 she was honored to speak at the kickoff for the Philadelphia walk for Autism Speaks. All profits from her book, “Raising Autism” have gone directly to various autism-related causes. I’ve been blogging about my experiences as a person with Asperger’s Syndrome and having twin daughters with the same condition.